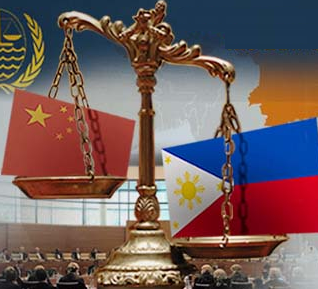 SHANGHAI — (Analysis) The Permanent Court of Arbitration’s non-binding ruling on the territorial dispute between the People’s Republic of China and the Republic of the Philippines is largely misunderstood. Sovereignty or ownership of disputed land formations were never going to be adjudicated or awarded as many Filipinos and Filipinas thought or were led to believe by the past and present leadership of the Philippines. What the Permanent Court of Arbitration tribunal studied were the geo-legal status definitions of the disputed territory. In part, the Chinese claim of sovereignty over the Spratly Islands and Scarborough Shoal, which Beijing refers to as the Nansha Islands and Huangyan Island, respectively, is under dispute because of the status of the “adjacent waters.” It is mainly the definition and legal status of the adjacent waters that Manila — and Washington — are concerned about, and what The Hague-based Permanent Court of Arbitration examined. This is the crux of the matter. Adjacent waters are a 12 nautical mile territorial (22 kilometers) stretch in bodies of water that extends from the shoreline of any land territory. The water that is within the 12 nautical miles of territory claimed by a specific country is to be legally treated as its internal waters or territorial sea. This alone gives Beijing control over a large swath of strategic water. Moreover, Beijing’s official position is that the Spratly/Nansha Islands are entitled to an exclusive economic zone (EEZ), and that China has legal control over the continental shelf under both Chinese domestic law and under the 1982 U.N. Convention on the Law of the Sea. Although a country and its government do not have sovereignty in their EEZ or on the continental shelf, they do have “sovereign rights” and jurisdiction over a distance of up to 200 nautical miles (370 kilometers) for the purpose of exploring and developing the natural resources of the seabed and subsoil in these areas. However, low-tide elevations and rocks that cannot sustain human life do not include any of the maritime entitlements that Beijing claims. This is why the argument on the legal and geographic definition of the Spratly/Nansha Islands as rocks, reefs, low-tide elevations, or islands is so important. Through its claims, the Philippines has, in part, sought to limit the nautical miles that China can claim for exploration and development. In fact, the Philippines brought the case against China to the Permanent Court of Arbitration tribunal exclusively as a maritime dispute and not a territorial dispute as an ipso facto means of extending the EEZ of the Philippines and reducing China’s EEZ. 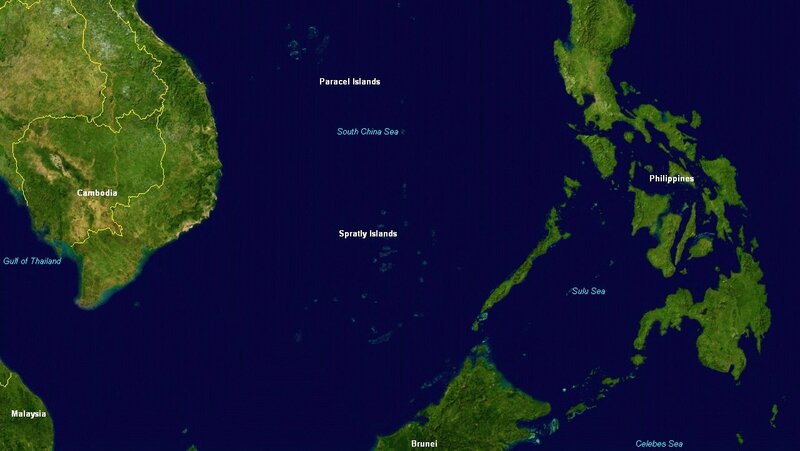 The location of the Spratly and Paracel Islands in the South China Sea. This is why China generally claims that the Spratly/Nansha Islands are geographically and legally islands, and the Philippines, now with the support of the Permanent Court of Arbitration, claims otherwise. In this context, fearing that the Chinese-controlled Ligao Island/Itu Aba could be categorized as an island that would give an extensive EEZ to the Chinese, Florin Hilbay, the acting solicitor-general of the Philippines, and Francis H. Jardeleza, who was the solicitor-general of the Philippines from 2012 to 2014, originally wanted to exclude Ligao Island/Itu Aba from the legal dossier Manila submitted to the Permanent Court of Arbitration tribunal. Despite their close proximity to the Philippines, the Spratly/Nansha Islands have not been recognized as Philippine territory. Manila has not even sought an answer on this from the case it brought to the Permanent Court of Arbitration. Instead, the tribunal ruled on geo-legal definitions, recommended that China should not build artificial islands in the area, and concluded that disputed islands are located on the continental shelf that forms the archipelago of the Philippines. The Philippine claims that the disputed islands belong to the Philippines due to the ruling about the continental shelf by the tribunal of the Permanent Court of Arbitration are misleading. This does not even legally mean that the Philippines has sovereignty or ownership over the islands. Geographic proximity is never an indicator of legal ownership. Many countries have islands located on continental shelves that other countries are situated on. For example, Greece has many islands located on the continental shelf of Turkey, and France has the islands of Saint Pierre and Miquelon, which are located off Canada’s continental shelf. What the Permanent Court of Arbitration tribunal did is simply answer a geographic question. 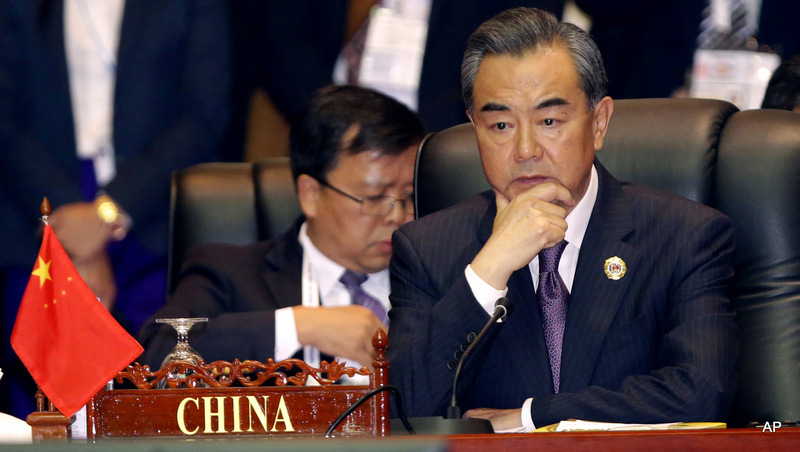 China’s Foreign Minister Wang Yi, attends the 23rd ASEAN regional retreat meeting in Vientiane, Laos. Despite the Philippines taking on China in a territorial dispute in the South China Sea and winning big, other Southeast Asian nations with similar disputes who attended the meetings are backing down from their claims. Beijing has both a strong historical and legal case in regards to its claims over the disputed land formations. The Chinese established trade rights in the waters of the disputed territories over a thousand years ago under the Han Dynasty. Since then, the land formations there were tied to China during the Yuan, Ming, Qing, and Republican periods, until Japan annexed them. In 1947, after the Second World War and as part of China’s diplomatic, legal, and political efforts to regain the Chinese territory that Japan had annexed, the Kuomintang government of the Republic of China established the demarcation line that is the basis for Beijing’s territorial claims in its dispute with Manila. A year earlier, in 1946, when Philippine President Elpidio Quirino asked Washington to help secure the disputed area for the Philippines, he was told that the area in question was already claimed by the Chinese and French. Beijing has, however, refused to participate in the non-binding tribunal proceedings of the Permanent Court of Arbitration because the Chinese government realizes that the geo-legal definitions it promotes would be changed and that the nautical miles and EEZ it claims would be reduced and undermined. The oldest direct claim of the Philippines is based on the establishment of the municipality of Kalayaan (Freedom) by Tomas Cloma in 1956, which Ferdinand Marcos used to support his regime’s claim of ownership over the area in 1978. What may surprise Filipinos and Filipinas is that the disputed islands were never included in Article III of the Treaty of Paris as part of the territory of the Philippines that the Spanish surrendered to the United States in 1898. Though a protest was made by the Philippines, Washington did not object when France claimed the disputed territory in 1933. For the same reasons, Washington, unlike the French government that claimed the islands, did not object when the Japanese occupied the disputed islands when Tokyo claimed that they were part of the Chinese province of Formosa/Taiwan in 1938. Washington was even involved in 1952 with the signing of the Treaty of Peace between Japan and the Republic of China, in which Japan renounced all territorial claims to the Pescadores Islands, the Spratly Islands, and Taiwan as a means of returning them to China. Although any country has the right to change geographic names, the domestic renaming of the South China Sea to the West Philippine Sea by President Benigno Aquino III is a break with history. Historically, Filipinos and Filipinas have called the body of water the South China Sea. While the name change is meant to politically accent the objectives of the Philippines to gain a share of the South China Sea’s resources and challenge China, it is problematic. The name change that has been readily adopted in the Philippines illustrates how the Aquino III administration used a nationalist approach to Filipinos and Filipinas’ understanding of the dispute with China. Philippine citizens who do not call the South China Sea the West Philippine Sea are chided and scolded as unpatriotic or Chinese apologists. Even worse, under the atmosphere that the Aquino III administration has cultivated, the loyalty of Philippine citizens of Chinese ethnic background is being unjustly questioned over the dispute in the South China Sea. Through a tactic of using nationalism and simplistic explanations that deliberately ignore history in preference of geographic proximity, the Aquino III administration misled the people of the Philippines on the dispute with Beijing. In the process, the Aquino III administration readily demonized China as a hostile country and the Chinese as an enemy of the Philippines. Has Manila singled out Beijing at Washington’s behest? The territorial disputes in the South China also include Brunei, Malaysia, Taiwan, and Vietnam. Vietnamese have historically been the most aggressive in their territorial claims, and the pre-Vietnamese unification state of South Vietnam even had tense military altercations with the Philippines over Southwest Cay in 1975. Even though the Spratly/Nansha Islands are divided among these states, Manila has focused on challenging and demonizing Beijing. 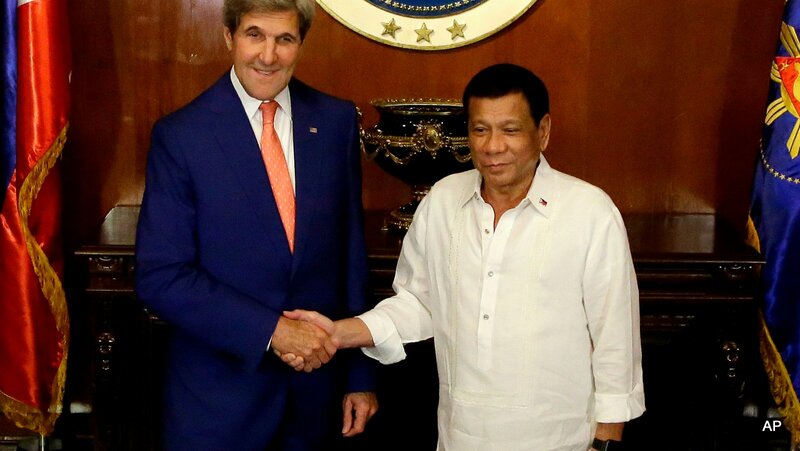 Philippine President Rodrigo Duterte, right, welcomes U.S. Secretary of State John Kerry during his visit at the Malacanang presidential palace in Manila, Philippines on Wednesday, July 27, 2016. The demonization of China not only comes at the expense of good relations between China and the Philippines. It serves Washington’s agenda to encircle China, which President Benigno Aquino III was all too happy to go along with. From a strategic standpoint, Washington wants China’s territorial claims in the South China Sea to be eroded so that the South China Sea can be an open body of water where the U.S. can position its military forces. The purpose of eroding Chinese territorial claims in the South China Sea is part of a U.S. strategic military balancing act in Asia. The positioning of the U.S. military in the waters of the South China Sea will give Washington the ability to obstruct Chinese shipping in the event of a conflict between Beijing and Washington. This is why Washington, which itself has refused to sign the U.N. Convention on the Law of the Sea, has consistently encouraged the Philippines to challenge China and done everything possible to condense Chinese maritime jurisdiction in the South China Sea. In this regard, one of the objectives of the Philippines is to guarantee open access to the waters of the South China Sea for the U.S. military. This is why the main concern of the Chinese is not to get their nautical miles reduced as much as possible, but to keep the U.S. military out of the South China Sea to maintain their security. For Mint Press News by Mahdi Darius Nazemroaya. Originally published on July 27, 2016.